Traveloka and 11street partner up to give Malaysians Greater Reasons to Holiday! 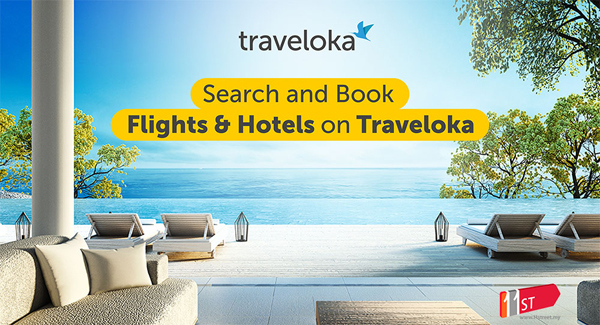 Kuala Lumpur (14 September 2017) — Southeast Asia’s leading flight and hotel booking platform, Traveloka, has partnered with 11street, one of Malaysia’s largest online marketplaces, to offer Malaysians a greater way to travel with Traveloka’s exclusive domestic and international flight and hotel vouchers at a special price. Beginning 15 September 2017 until 15 October 2017, Traveloka will be offering exciting discounts of up to 39% for its domestic flight and hotel vouchers, priced at RM49 but valued at RM80; international flight and hotel vouchers are available at up to 21% discount, priced at RM79 but valued at RM100. These Traveloka vouchers are available in limited quantities, only at 11street. 11street’s partnership with Traveloka signals a greater drive for an all-inclusive e-commerce player, as brands continue to seek new ways to reward and meet the changing needs of consumers across various platforms. Tapping into the growing popularity of domestic tourism, which recorded a growth in 2016 by 189.3 million visitors, 11street has also found that its shoppers have been actively seeking out online travel deals or e-vouchers to plan for their next holiday, as seen through the year-to-year growth of more than 98% in the travel category sales. The increased demand for e-vouchers allows Traveloka to tap into a wider online customer base while providing 11street customers a more extensive selection of travel deals, thus making the partnership a timely announcement. Log in to www.11street.my today to enjoy the ultimate saving experience. Customers can also find the Traveloka promotional deal at www.11street.my/store/traveloka.